Posted on April 18, 2017 at 6:57 pm. Although traditional cocktails will always have a special place on your menu, the growing trend of non-alcoholic mixed drinks, otherwise known as mocktails, might make you think twice about your restaurant’s beverage options. 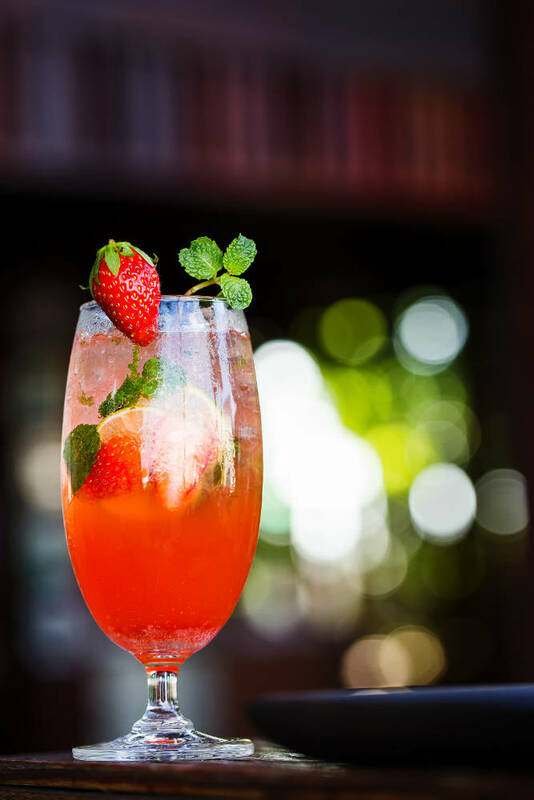 Accommodating non-drinkers, creating a more inclusive environment and ultimately boosting sales, mocktails help diversify your specialty drink list. In need of some inspiration? Sift through the recipes below to help craft your own mocktail menu. An alcohol-free twist on a fan-favorite cocktail, the virgin Moscow mule combines lime juice, ginger beer, simple syrup and to create a refreshing, citrusy drink with a spicy edge. Serve in a copper mug and garnish with a slice of lime and ginger for a classic touch. As the leaves turn to shades of deep burgundy, crimson and fiery orange, patrons may be in the mood for a delicious mocktail inspired by autumn. This cran-apple cider recipe consists of two basic ingredients – cranberry juice and apple cider. For an enticing look, rim the glass with sugar and add a seasonable apple slice. Although the Roy Rogers mocktail is named after Hollywood’s most famous cowboy, its flavor profile closely resembles that of a Shirley Temple. Simply fill a highball glass with cola, add a splash of grenadine and finish with a maraschino cherry. Speaking of Shirley Temple, this traditional non-alcoholic drink is a staple in the world of mocktails. The sugary sweet Shirley Temple contains lemon-lime soda and grenadine and is topped with a maraschino cherry for good measure. Marked by a distinct minty flavor, this mojito mocktail may just be the refreshing summer drink your regulars have been searching for. Combining fresh mint, lime juice, soda water and sugar, this alcohol-free mojito offers non-drinkers a thirst-quenching concoction for when the warmer weather moves in. Special occasions call for celebratory drinks. This mock champagne recipe can be enjoyed by expectant mothers, abstainers and children alike. Simply combine ginger ale, pineapple juice and white grape juice to craft a light, enchanting mocktail. For every event, bar and restaurant, Columbia Distributing offers a wide range of non-alcoholic beverages. Browse the brands we distribute, or contact us to see how our selections can accommodate your mocktail menu.